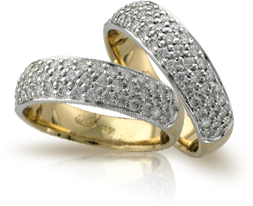 Ray Lingham has been prominent in the manufacturing sector of the jewellery trade in Melbourne for 38 years. As a Pattern Maker, Designer and Master Jeweller he has made jewellery for most of the prominent retailers in Melbourne, and for a large client base both retail and private throughout Australia and overseas. We offer the highest quality in certified diamonds with a large range of Argyle pink diamonds and coloured precious stones to complement our expertly made rings, pendants, earrings and bracelets. We also take great pride in our innovative ideas for transforming your old unwanted jewellery into something new and exciting.